Opposition protesters throw rocks at riot police by hand and with slingshots during clashes with police in Nairobi, Oct. 26. The story of Thursday's election dates back to August of this year. The election, won by President Uhuru Kenyatta, was declared null and void. No aspersions were thrown at the victor. Nor at the defeated candidate. Rather the elections were nullified because there were "irregularities and illegalities" in the voting process itself. According to Amnesty and Human Rights Watch, more than 65 people were killed in the violence that erupted following the August vote.Chief Justice David Maraga, hailed by many as a hero for the stance he and the Supreme Court took in August, stated that the election had not been "conducted in accordance with the constitution" and declared it "invalid, null and void." Four of the six Supreme Court judges backed this decision. The result was determined to be "neither transparent nor verifiable. "Although not apportioning blame to one party or the other, tensions started to rise. Tensions increased when the Supreme Court was unable to rule on a challenge to the new elections. They were unable to decide because only two Supreme Court justices turned up. One refused to turn up after her bodyguard was gunned down, while the others provided what are referred to as "flimsy excuses." Although Maraga stated that the judges would pay the ultimate price to defend the rule of law in the country, the intimidation that had gradually increased after the August elections seems to have created a different scenario. Odinga has called for his followers to boycott Thursday's election. Due to the tension and violence, a number of polling stations did not open. In others, the turnout was almost non-existent. After the 2007 elections, Odinga claimed that there were irregularities in the voting; his claims of electoral cheating led to rioting. More than 1,000 people lost their lives in the ethnic violence. The winner of the last election, Uhuru Kenyatta is a man with a pedigree. He was just beginning his second term before the elections were invalidated last August. Kenya's youngest president, Kenyatta was born in 1961, and is the son of the country's first president, Jomo Kenyatta. Jomo Kenyatta is known as Kenya's founding father. Kenyatta Jr. attended Amherst College in the US, studying political science and economics. Forbes Magazine ranks him as the 26th richest person in Africa, with a fortune of about $500 million. His family owns television channels, radio stations and a newspaper. The family is involved in a number of industries and owns immense tracts of land throughout the country. This is not just a matter of being landowners. 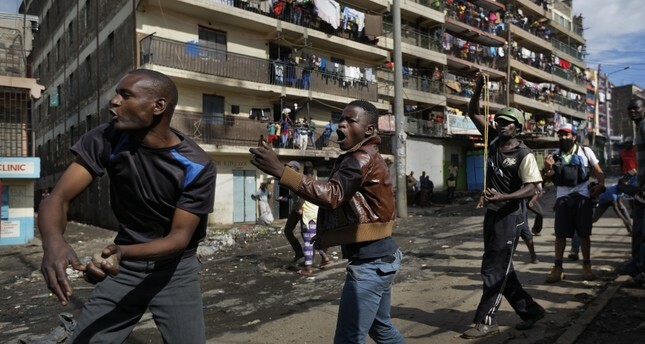 In Kenya land is the source of most of the ethnic clashes. The matter of land ownership was banned from being a campaign issue in the last election. Before being elected the first time four years ago, Kenyatta was facing indictment by the International Criminal Court. The charges? Crimes against humanity. The charges were seen to be serious enough for the US and UK governments to state that there would be serious repercussions if Kenyatta was elected. No such repercussions were forthcoming. Kenya is in a strategic position for fighting Islamist terrorists. The ICC court case has been dropped. The other participant in the election, Raila Odinga, received almost 45 percent of the votes in the last election. Odinga is older than Kenyatta, being 72. But his pedigree is no less shabby. Odinga is the son of Kenya's first vice-president, Jaramogi Oginga Odinga. Odinga was educated in the former East Germany as a medical engineer. He plotted a coup in 1982, but subsequently went to prison; Odinga is Kenya's longest-serving detainee. His supporters love him, seeing him as someone who has made great sacrifices; his enemies see him as a schemer and plotter. Odinga is also wealthy, with investments in a number of industries, particularly import and distribution of petroleum. Odinga has changed parties a number of time, each time stating that he is attempting to reform Kenyan politics. Odinga has refused to participate in this election, and his supporters are heeding his call to boycott the elections. His slogan is "no reforms, no elections." He also said: "Our opponents want an election for the sake of it, we want a better election." However, by calling on his followers not to turn up to the polls, Odinga is making an effort to reduce any tensions that could erupt. The result of Thursday's election is not important. It is what will happen in the following days. The aftermath matters not only to Kenyans, but to many other African countries. If Kenya can regain stability, this is to the benefit of everyone; it benefits the fight against terrorism. It will help set the tone for other budding African democracies. To quote Fergal Keane for the BBC: "A peaceful resolution to this democratic crisis would be an example to the continent. ... ‘democracy is entering a dark tunnel but there might just be light at the other side.' "
Many will be watching as events unfold in Kenya after the election. The initial elation or disappointment will be replaced by something else. Let us hope that it is return to mundane, workday life, and not to the extreme violence that ensued after the 2007 elections. Kenyans state that this will not happen "as they have learned their lesson". Let's hope that they are right.